I did my Christmas decorating this weekend, and it’s entirely possible that – in addition to the lovely Fraser fir I bought at Frager’s – I also put lights on everything treelike in my apartment. Including the rosemary. Sparkly festiveness abounds! My little tree from Frager's. 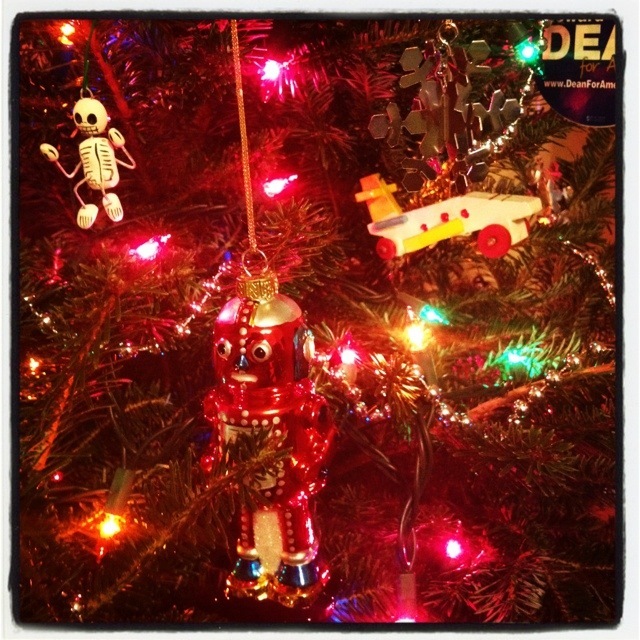 My new robot ornament (and some old favorites). 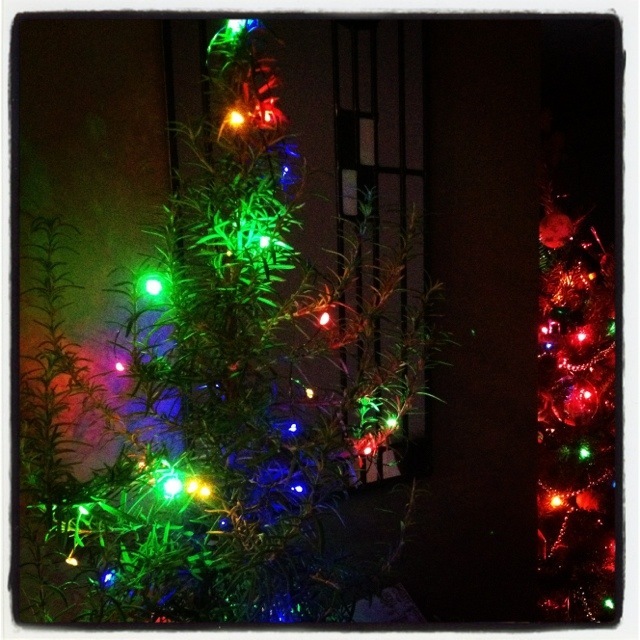 And the rosemary is feeling festive, too. You are ahead of us! 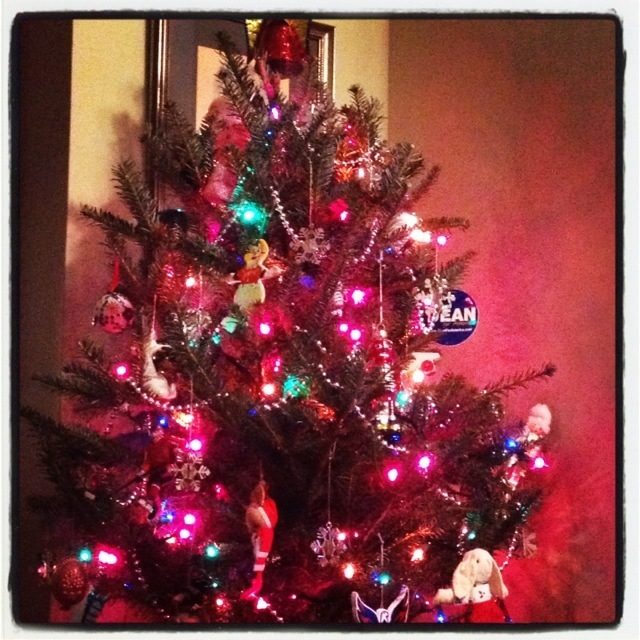 Our tree is up but not decorated (tomorrow, since no school). The only decorations we got up “on time” were the advent calendars (one for kids, one for adults) and the Christmas lights in the bathroom (very cool b/c of the mirrors, a family favorite actually, which lends to more peaceful bedtimes). I like the new ornament! Is there a story to it? Hey the blog is snowing! 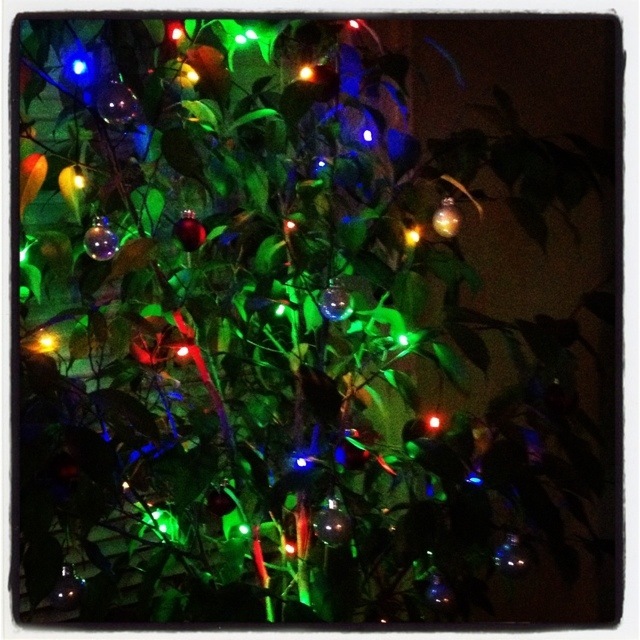 Must be December…. We don’t even have our tree up yet. I’m so behind on Christmas cheer so far.